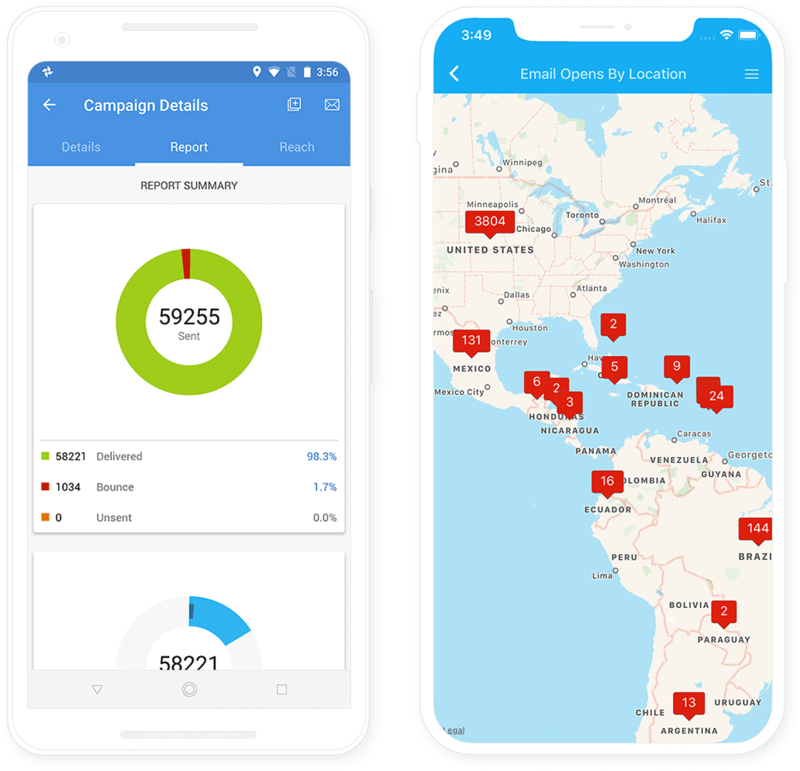 Manage your mailing lists, send campaigns, view campaign results, or even check the growth of your mailing lists—all from your mobile devices. Zoho Campaigns' mobile app is available in all the languages that the product supports. Once you are ready to send out your campaigns, you do not have to wait to log in to your web app. Quickly send out campaigns from your mobile devices. 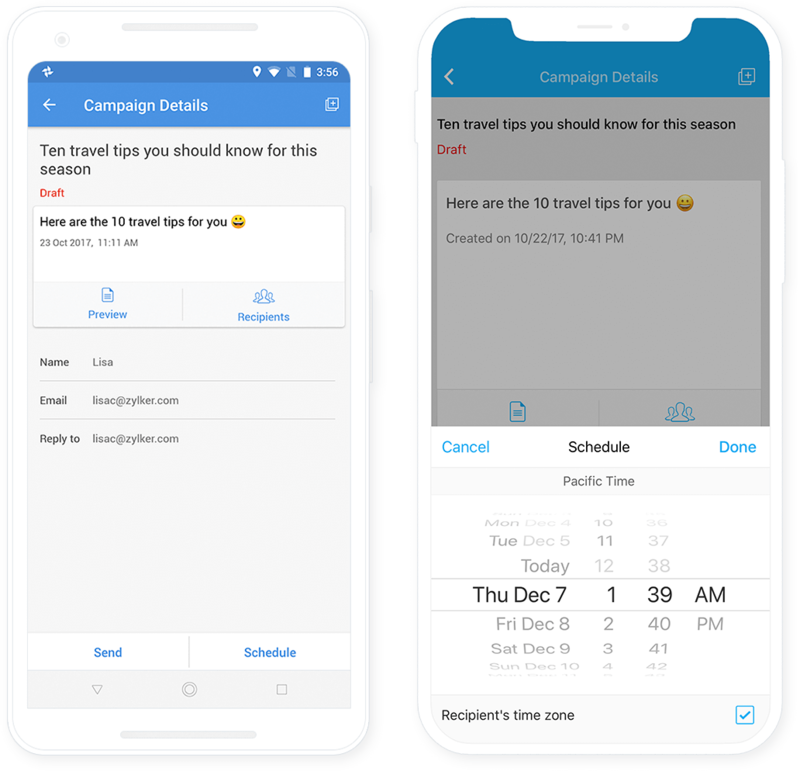 You can also schedule campaigns for a later time, send draft emails for compliance review, and pause and resume desired campaigns conveniently. The Zoho Campaigns mobile app also gives you immediate access to campaign reports. Location based email opens, user agent reports or social media reach - detailed reports tell you everything about your campaign's performance. You can also share reports via email if you want to have a quick discussion with a colleague. 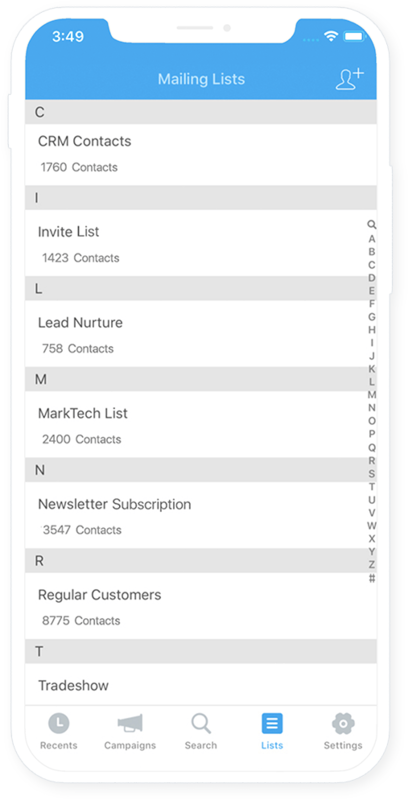 Manage contacts and subscriber lists. Check on your mailing lists, look at subscribers around your location, add contacts or create a new mailing list. You get the complete picture of your mailing lists! Manage contacts, lists and campaigns even when you are not connected to a network. You might talk to a customer who shows an interest in your products and wants to receive your newsletters. 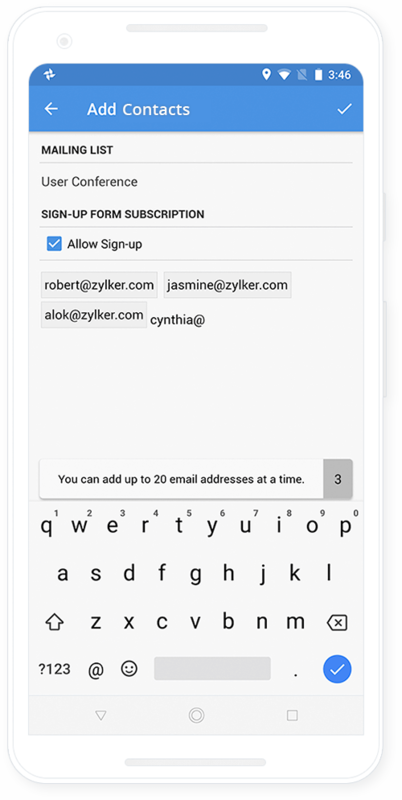 You can quickly add the email address to one of your mailing lists. Updates will automatically sync when you reconnect to a network. Take Zoho Campaigns in your pockets, wherever you go. 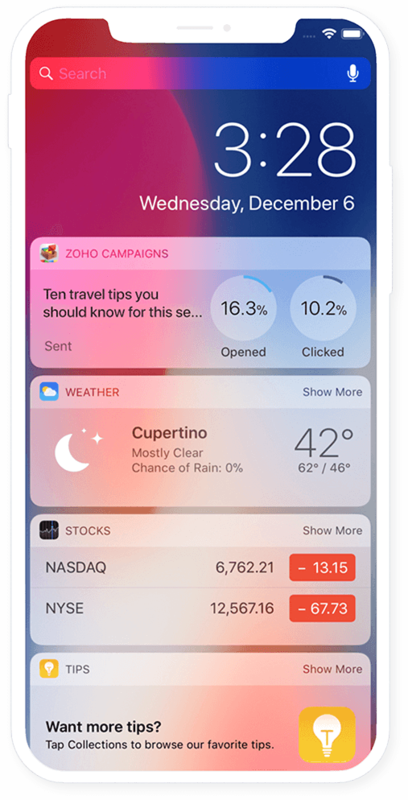 With Zoho Campaigns’ widget, receive timely notifications about your recently-sent campaign’s performance and stay up-to-date. Be in the know about your subscribers. 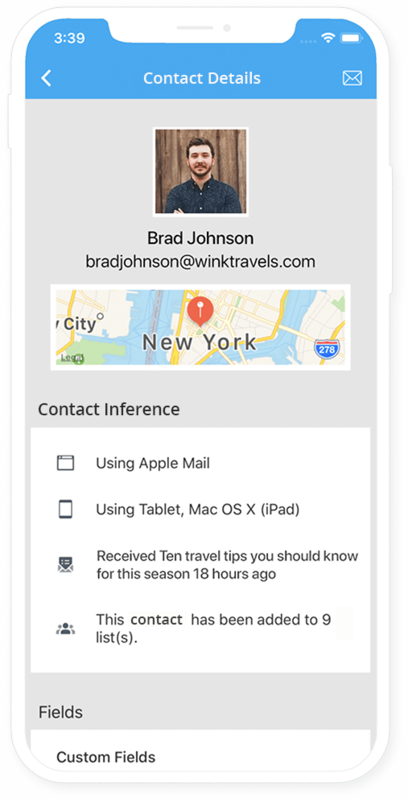 View complete details about each of your subscribers—inferences such as the device they use, the mailing list(s) they’re part of, the last campaign they received, custom fields assigned to them, and so on.